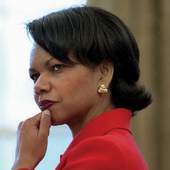 Condoleezza Rice, the US Secretary of State, openly criticized the Russian government in connection with the gas conflict with Ukraine. Ms. Rice used quite a trivial technique of psychological pressure, which is mostly practiced in the field of education. According to Condoleezza Rice, Russia's actions towards Ukraine did not characterize it as a respectable member of the Group of Eight. The statement from the high-ranking US official sounded like a reprimand from a strict babysitter that was teaching its baby to behave. It goes without saying that the largest Eurasian power is not a baby. In addition, the geopolitical system in the world has undergone dramatic changes since the 1990s. The US Secretary of State, however, has seemingly lost the sense of time and reality. Ms. Rice's wish to exercise her political power became a surprise for both the Russian Ministry for Foreign Affairs and proponents of traditional liberal values. Ms. Rice's criticism can be explained with the politician's personal peculiarities. Why is Condoleezza Rice so fond of her “strict teacher” role? Is it her technique that she follows to stay in the center of political attention? The leader of the Liberal and Democratic Party of Russia (LDPR), Vladimir Zhirinovsky, expressed his opinion on the matter in an exclusive interview with Pravda.Ru. ”Condoleezza Rice released a coarse anti-Russian statement. This is because she is a single woman who has no children. She loses her reason because of her late single status. Nature takes it all. ”Such women are very rough. They are all workaholics, public workaholics. They can be happy only when they are talked and written about everywhere: “Oh, Condoleezza, what a remarkable woman, what a charming Afro-American lady! How well she can play the piano and speak Russian! What a courageous, tough and strong female she is! ”This is the only way to satisfy her needs of a female. She derives pleasure from it. If she has no man by her side at her age, he will never appear. Even if she had a whole selection of men to choose from she would stay single because her soul and heart have hardened. Like Napoleon, Genghis Khan, Tamerlane, or Alexander the Great of Macedon Ms. Rice needs to fight and release tough public statements in global scale. She needs to be on top of the world. ”Ms. Rice was always interested in Russia. Now she needs to prove that she does have a certain amount of knowledge about Russia. Her goal number one is to observe USA's interest. If Russia rises, it means that the USA falls down. Europe has united, China is growing speedily and Russia possesses immense power in terms of fuel resources. The US administration cannot do anything about it. ”The USA experiences the crisis of ideological and moral values. Americans try to talk about positive family values, although the actual state of things is disastrous. That is why they need to protect themselves with such public personas as Condoleezza Rice who gains pleasure from political commotions. ”The civilized world needs to think about a decision when single politicians are not allowed to stay in power. This was a common practice in the Soviet political system. The matter of international relations is very subtle and exquisite. One single word or phrase may play an extremely important role in politics. This is not the place, where one can sublimate their personal sexual problems. ”Complex-prone women are especially dangerous. They are like malicious mothers-in-law, women that evoke hatred and irritation with everyone. Everybody tries to part with such women as soon as possible. A mother-in-law is better than a single and childless political persona, though. ”This is really scary. Ms. Rice's personal complexes affect the entire field of international politics. This is an irritating factor for everyone, especially for the East and the Islamic world. When they look at her, they go mad. ”Condoleezza Rice needs a company of soldiers. She needs to be taken to barracks where she would be satisfied. On the other hand, she can hardly be satisfied because of her age. This is a complex. She needs to return to her university and teach students there. She could also deal with psychological analysis. ”The true reason of Ms. Rice's attack against Russia is very simple. Condoleezza Rice is a very cruel, offended woman who lacks men's attention. Releasing such stupid remarks gives her the feeling of being fulfilled. 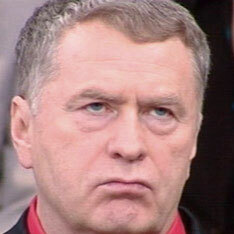 This is the only way for her to attract men's attention,” Vladimir Zhirinovsky said.